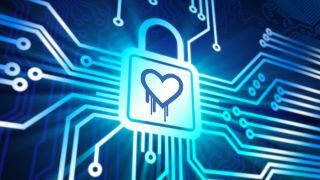 Comodo has issued thousands of new digital certificates to companies affected by the Heartbleed OpenSSL bug, which has caused a security frenzy in recent days. The company is the second largest in the world that provides SSL certificates and has seen a sharp increase in applications over the last day or two as many firms scramble to patch the vulnerability. "The last couple of days, we've seen replacement rates running at somewhere between 10 to 12 times the normal rate than were replacing a week ago. That's obviously fallout from this," said Robin Alden, CTO of Comodo. Comodo has already patched OpenSSL on its servers, and has reissued certificates as a precautionary measure. Up to 70% of its customers who have replaced their certificates have had their old certificates revoked and blacklisted in order to prevent any security leaks. The Heartbleed bug was recently discovered by Codenomicon and Google. It undermines what was previously considered a core security feature of many websites, potentially allowing hackers to access passwords and other sensitive information without leaving a trace. To make matters worse, the bug went undetected for two years. Many security professionals have issued warnings and advice, such as updating passwords on any website confirmed to have patched the issue. Most popular websites affected, such as Google, Facebook and Yahoo, have already fixed the problem.